Mammoth Biosciences, the company behind the world’s first CRISPR-based disease detection platform, today announced $23 million in funding. The financing is led by Mayfield with participation from NFX and 8VC, bringing the company through its Series A. The funds will allow the company to build out its IP portfolio, expand the team, and develop an infrastructure for partners to build on Mammoth’s CRISPR platform, with a keen eye on pharmaceutical and agricultural partnerships. The funding round comes not long after the company came out of stealth in April 2018. 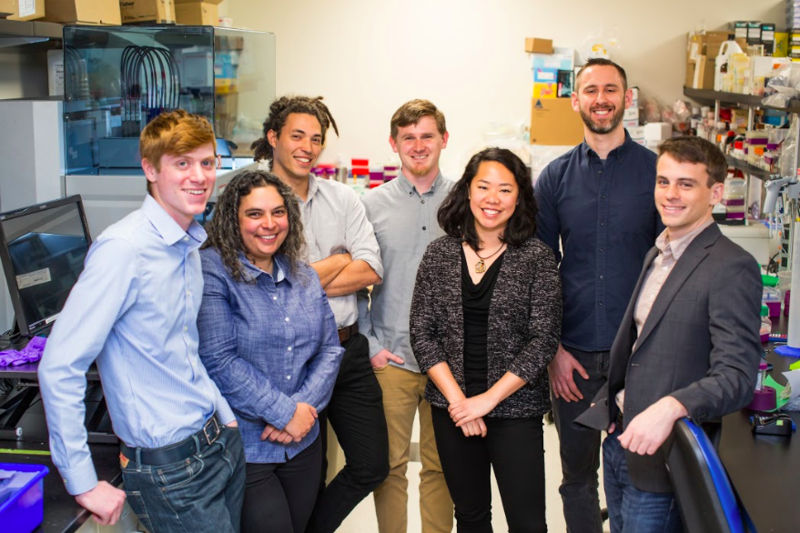 The company is co-founded by Stanford and UC Berkeley PhDs Trevor Martin (CEO), Ashley Tehranchi (CTO), Lucas Harrington, Janice Chen and CRISPR pioneer Jennifer Doudna who are working to upend the $45 billion global disease detection market -- starting with healthcare. To do so, the team harnessed the naturally evolved diversity of bacterial CRISPR systems. Using proprietary CRISPR technology licensed exclusively from the University of California, Mammoth aims to democratize disease detection with an easy and affordable point-of-care test that allows fast, simultaneous detection of multiple conditions, in real time, both in the hospital and at home. This pioneering approach has the potential to significantly reduce healthcare spending by replacing the need for dedicated testing devices, while also increasing accessibility and ease-of-use. Similar to how Apple’s iOS created a democratized platform for developers, Mammoth’s long-term vision is to provide a CRISPR-based platform on which Mammoth and partners can build an infinite number of tests, both within healthcare and also across industries such as agriculture, oil and gas, and forensics. Growth of the platform is powered by Mammoth’s CRISPR protein discovery engine -- technology that is poised to explore and uncover additional Cas systems and reveal an infinite number of future applications. In addition to furthering the development of its core IP portfolio, Mammoth will use the funds to attract top talent, grow its internal team, and build out the framework and infrastructure of its CRISPR-based platform. In tandem, Mammoth welcomes infectious disease expert Charles Chui and protein engineering expert Dave Savage to its growing Scientific Advisory Board, chaired by CRISPR pioneer Jennifer Doudna. As a board-certified consulting infectious diseases physician at UCSF, Dr. Chiu brings major experience in both infectious diseases and clinical microbiology to Mammoth. Dr. Savage, an Associate Professor of Biochemistry, Biophysics, and Structural Biology at UC, Berkeley, adds his expertise in the regulation, evolution, and engineering of microbial metabolism. Drs. Savage and Chui join co-founder and Chair of Mammoth’s Scientific Advisory Board Jennifer Doudna in leading the company’s scientific vision. Mayfield is a global venture capital firm with a people-first philosophy and over $2.7 billion under management. Mayfield invests primarily in early-stage consumer and enterprise companies. Since its founding in 1969, the firm has invested in more than 530 companies, resulting in 116 IPOs and more than 200 mergers or acquisitions. Some notable investments include Amgen, Genentech, Elastica, Gigya, Intuitive Surgical, Lyft, Marketo, Moat, Servicemax, and SolarCity.